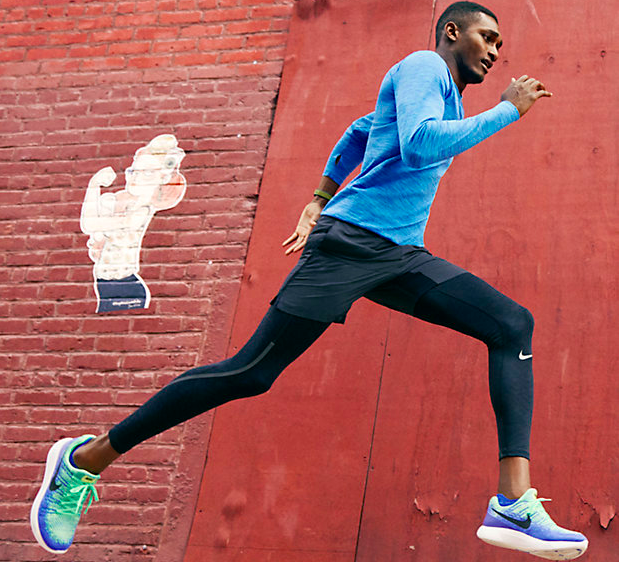 The Nike LunerEpic Flyknit 2 is the follow-up sneaker to the brand's revolutionary running shoe, the LunarEpic. The LunarEpic 2 was released this year in a palette of wearable colors. The second generation improves on its predecessor with an updated slip-on design for a snug, seamless fit. The original low-top LunarEpic was released quickly after the success of the high-top LunarEpic. Runners ran into problems with the tongue and the shoe's low profile. 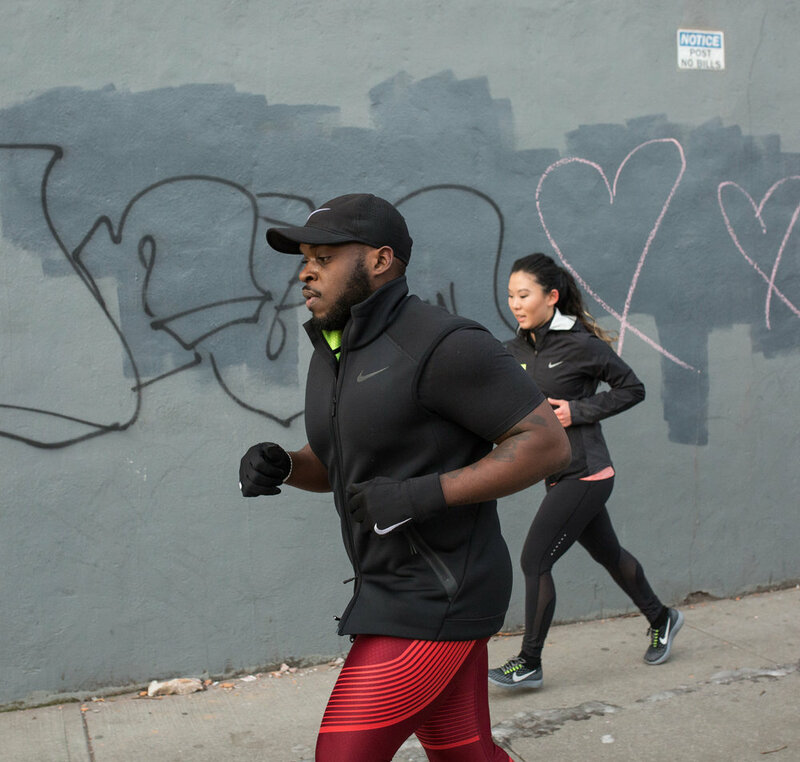 I tried out the new shoes during a 3 mile run through New York City's Soho neighborhood. Released last year, in an array of color, the LunarEpic boast a sock-like collar that firmly grips your ankle and adds additional support. The LunarEpic lunar sole made running feel as if you were walking on clouds. For a runner like me, that's flat foot it was a welcomed addition. Most running shoes I'm not able to wear but they don't have enough support or they have too much support. My go-to runner sneakers are the Nike Pegasus line. They are comfortable, but not too firm. After Nike introduced the LunarEpic they became my primary running shoe. My feet felt amazing with every run and they made me want to run more constantly. Nike later introduced the Nike LunarEpic Low, but I wasn't impressed because it didn't have the ankle collar on it that I loved. When the LunarEpic 2 was announced I was interested in learning more. Early one Tuesday morning in February, I got up at the crack of dawn to meet the Nike Run Club for a 3 mile run through Soho neighborhood district. We trialed the newest iteration of the LunarEpic running shoe, the LunarEpic Flyknit 2. My initial reaction was that the back of my heel was not securely fastened in the shoe. It took a little time to get used to the feeling. We stretched inside the Nike Soho store and shortly after, started our run. During the 1st mile, my body and legs felt great. We ran 3.75 miles and my overall experience with the new shoe was positive. My foot never slipped out of place and it was securely fastened in my shoe. The LunarEpic Flyknit 2 boost the same sole as the original. I think all the runners had a positive first impression of the shoe. I'm a short distance runner so 3.75 miles was perfect enough for me to give these bad boys a test run. Overall, I think the LunarEpic Flyknit 2 is a strong addition to the Nike Running line. The shoe provides a comfortable and supportive ride while you're running. In the future, I hope to see colorways that provide runners with a fashion-forward option. The LunarEpic product line is sure to be a continuous hit with runners.